Output-controlled hydraulic pumps ensure efficient conversion of the supplied electric power into handling performance. 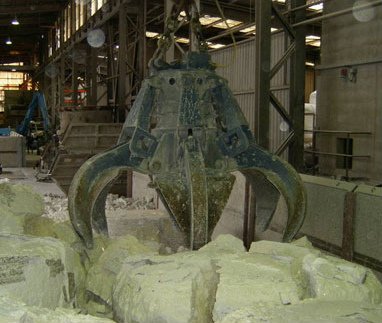 Having high closing forces, iMZG and iMZGL grab types reach an optimum filling degree. 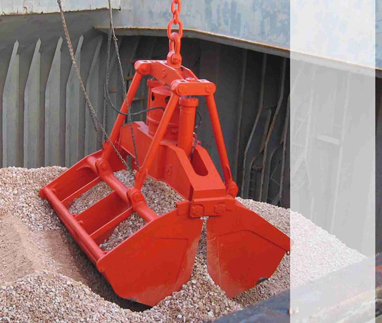 Integrated in the crane control system, the grab control system can be operated from the crane operator cabin. Equipped with individually driven jaws, motor orange-peel grabs adapt themselves individually to the handled material. Their optimum working height, low center of gravity and robust design make iMMG/iMMGL grabs versatile, all-purpose devices. Three product series cover the large variety of applications. 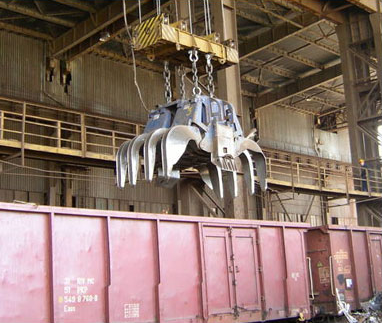 This grab type, with a handling capacity 4 times higher than that of conventional orange-peel grabs, has been developed especially for unloading railway wagons and trucks. In addition to the individually driven jaws, the iMMRG is equipped with two front-side hydraulic rams to optimize the filling performance and to reduce material loss due to trickling. 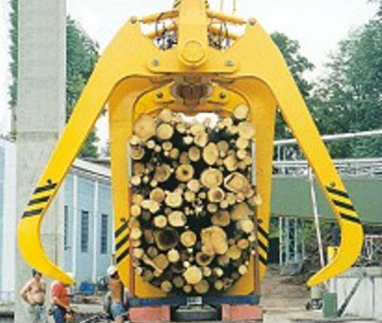 Motor timber grabs are used to handle round timber, individual logs (including exotic timber) or bundles under different conditions. They are available with tong cross sections up to 8.5 m².